The Christmas cheer is in full swing at the Android HQ in Mountain View, California. So much so, that the Android team has released a series of Android-themed Christmas cards and even a video to celebrate. 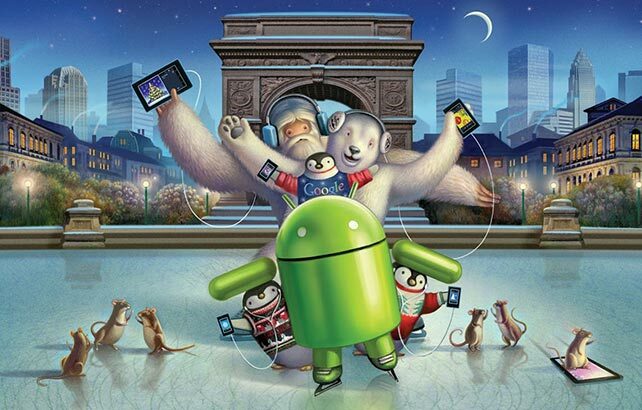 Shared through the Nexus Google+ page, the ‘Happy Holiday Cards’, as they are called, are showing a happy Droid with some of its arctic friends. Here are all of them below. Google wants you to share them with friends and family, but I think they are pretty suitable for wallpapers as well. Next up is the 1:30 minute Android Christmas video, which shows that even the seemingly soulless Android figurines want and should celebrate. Moreover, Google has the right tools and devices to help them do so. Check out the cool video below.